Senator Kelly Ayotte (R-NH) seeking clarification about conflicting statements made by Air Force leaders about the F-35 and A-10. One of the central issues in the debate over retiring the A-10 has been whether or not the F-35 Joint Strike Fighter will be an adequate replacement to perform the close air support mission. The program office has issued a number of conflicting statements on the issue. 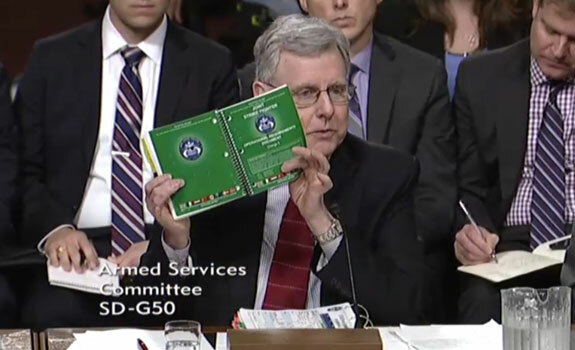 And in this week’s Senate Armed Services Committee update on the F-35 program, the most heated exchange came when Senator Kelly Ayotte (R-NH) sought clarification about conflicting statements made by Air Force leaders regarding the mission and which aircraft would perform it. She then referenced the F-35 Program Office’s own webpage, which clearly states the plane is to replace the A-10. “Is General Welsh right or is your website right?” she asked F-35 program manager Lt. Gen. Christopher Bogdan. General Bogdan completely dodged the question as being above his paygrade. Frank Kendall, Under Secretary of Defense for Acquisitions, said both statements were correct. “We will replace A-10s with F-35s,” he said. But while the F-35 would perform the mission, it would simply do it very differently than the A-10. 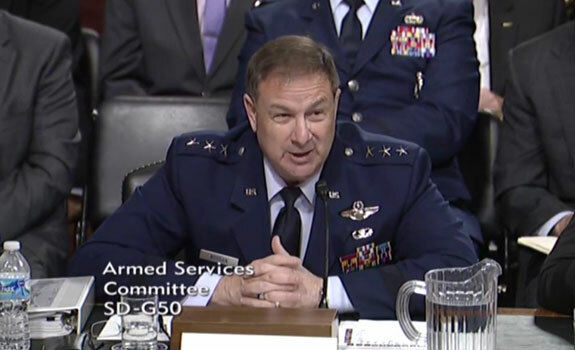 Screen capture of Lt. Gen. Christopher Bogdan during the hearing. Senator Ayotte stressed the need for comparative flight testing, something the Project On Government Oversight has also argued is essential before retiring any additional A-10s in order to ensure the lives of troops on the ground will be adequately protected. The House Armed Services Committee’s Chairman’s mark of the National Defense Authorization Act for FY 2017 includes a provision to this end (Section 134) that we hope to see mirrored in the Senate. Screen capture of Dr. Michael Gilmore, Director of Operational Test & Evaluation from the hearing. 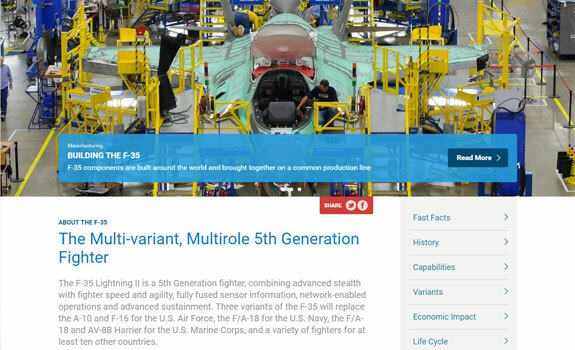 Dr. Michael Gilmore, Director of Operational Test & Evaluation, then produced the F-35’s operational requirements document, which clearly states the F-35 is supposed to replace the A-10. Senator Ayotte then inquired about the upcoming comparative tests pitting the F-35 against the A-10 to find out if indeed the new plane can perform this critical mission. You can watch the entire exchange here.